Once again, the Homer Davenport International Cartoon Contest returns to Silverton. After all, a festival that honors a famous Political Cartoonist seems almost naked without some kind of competition focused on that endeavor. To that end, the International Cartoon Contest has returned! As in past years, the competition is for “political” or “editorial” cartoons on any topic as long as they are not libelous, slanderous, racist, sexist or salacious. As with any activity that as lasted over thirty years, adjustments are often required. In light of that fact, we have substantially increased the prize money award amounts. The new prizes will now be $750, $500, $300 and $200 respectively, with an entry fee of $25. We hope that this change will attract a wider range of entries, and more actively reflect similar international cartoon contests. And frankly, keep our modest competition relevant and competitive. We are especially interested it the work of new and emerging cartoonists including communities of color. All cartoons will be judged in three categories: Artistic skill, clearly implied message, and the Cartoon’s over all appeal. All prizes will be determined by a blue ribbon panel of judges, with five non-cash “Peoples Choice” awards determined by popular vote, cast during the Festival. Winners will be announced Sunday afternoon at the festival, and announced online on the Web at the “Homer Page.” Entries will be prominently displayed in Silverton during the Homer Davenport Community Festival, (August 2 through 4, 2019). Deadline for submission is Friday, July 26, 2019. Oregon State Senator Lew Frederick (D-Portland) first took office as an Oregon State Representative on October 30, 2009 during a swearing-in ceremony in the House Chambers of the Oregon Capitol Building. Professionally he is a Strategic Communications Consultant, focusing on Strategic Planning, Community Relations, Science/Technical issues and Media Crisis Communications. With an academic background in biology, theater, and political science, his professional life has included seventeen years as a television reporter at KGW-Channel 8 in Portland, thirteen years as the Director of Public Information for the Portland Public Schools, teacher, actor and ranch-hand. 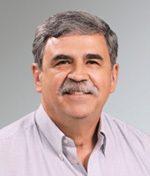 Dr. David Lewis, is an enrolled member of the Confederated Tribes of Grand Ronde, and descendant of the Santiam Kalapuya, Chinook, Molalla, Takelma, and Yoncalla Kalapuya peoples of western Oregon. He is past manager of the Grand Ronde Cultural Resources Department, Chachalu Tribal Museum Curator, and Tribal Historian. David has a PhD in Anthropology from the University of Oregon, and was Director of the Southwest Oregon Research Project. 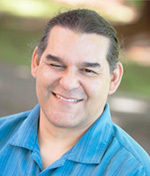 David is a professional presenter on the ethnohistories of the tribes of western Oregon, and has published numerous articles about the Tribes of Oregon, many on his blog. David currently lives in Salem with wife Donna, and sons Saghaley and Inatye. 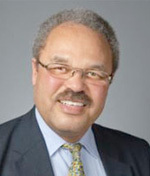 Oregon State Representative Rick Lewis, (R-Silverton) was appointed to the Oregon House after the resignation of Vic Gilliam. Prior to joining the legislature, Lewis served as the Mayor and as the Chief of Police for Silverton. 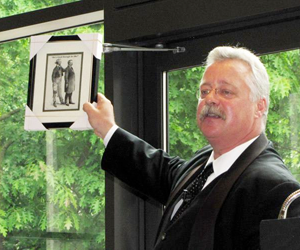 He is a life member of the Oregon Association Chiefs of Police and served as the organization’s President in 1991. In 2005, he took a six month leave of absence from the Silverton Police Department to teach the Executive Leadership Program for the Iraqi Police leadership during Operation Iraqi Freedom. Rick lives in Silverton with his wife of 38 years, Pat. Editor’s Note: The National Cartoonists Society (NCS) recently held their annual convention in Portland, Oregon just North of Silverton. The weekend long affair for the most part was private, with strict security measures designed to keep the over zealous fan base at bay. The one exception was an open Sunday morning “Signing Event” where the cartoonists and authors offered their autographed wares for sale. As fellow Silvertonian Bob Foster was autographing my copies of his Moose series, I noticed a gentleman peddling a book entitled Insider Histories of Cartooning at the same table. This got my attention. Turned out another Bob! Specifically R.C. Harvey, noted cartoon historian and “girlie” cartoonist. I quickly pulled out the bucks and set Mr. Harvey to work autographing his book, when he asked me how to spell my name. In reply, I showed him a copy of Annotated Cartoons By Davenport, and pointed. He quickly handed me back my money and offered to trade! Best deal I’ve made in years. I went to his Website and signed up for his Rants & Raves monthly column on Cartoon happenings. In his recap of the NCS event, he wrote the following nice and book review! Reprinted with permission. 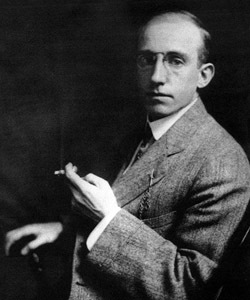 Davenport was part of Hearst’s team that took over the New York Journal in 1895 and helped launch “yellow journalism” in competition with Pulitzer’s New York World. 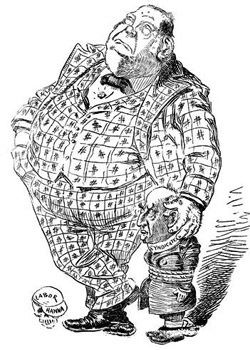 Davenport became famous during the presidential contest of 1896, depicting candidate William McKinley’s manager, wealthy industrialist Marcus Hanna, wearing “plutocratic plaid” with a tiny dollar sign in each square, accurately pinpointing the real issues and interests of the campaign. The cartoonist’s work was fierce enough on politicians that it inspired a failed anti-cartoon bill in the New York State Assembly. 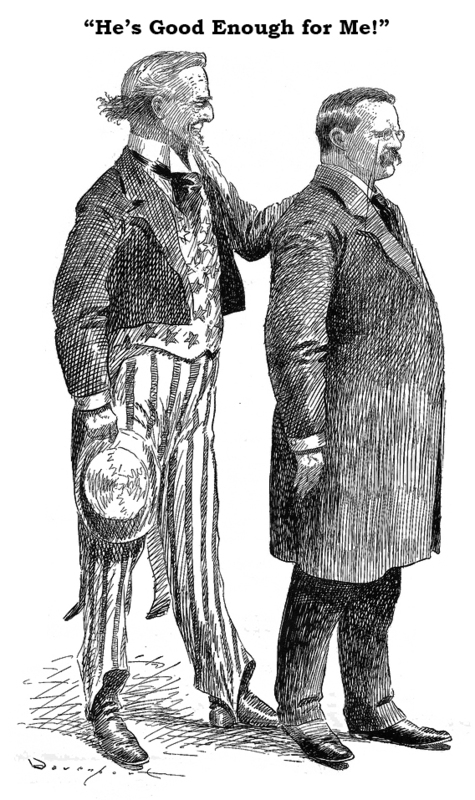 In 1904, one of his cartoons of Uncle Sam with his hand on the shoulder of Teddy Roosevelt is said by many to have enabled TR’s election. Davenport also bred American-born Arabian horses and wrote a book about it. Two volumes of his cartoons were published during his lifetime—Cartoons by Davenport in 1897 and The Dollar or the Man in 1900. He wrote an autobiography, focusing on his youth in beloved Silverton, The Country Boy (1910). The only biography I know of is Homer Davenport of Silverton: Life of a Great Cartoonist by Leland Huot and Alfred Powers (West Shore Press, 1973), which is a fairly relaxed and casual anecdotal account of his life, mostly chronological but not entirely. Almost half of its 400-plus pages are pictures—photos of Silverton and elsewhere and Davenport’s cartoons. The quality of reproduction is, however, poor. In Frederick’s book, the pictures are superbly reproduced, the finest lines meticulously captured. In reprinting the 1897 volume of cartoons with extensive annotation, Frederick has performed a monumental service for all students of editorial cartooning in America. 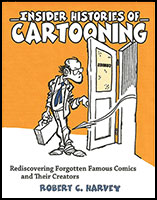 The original book printed only cartoons with no explanation. Herein, each cartoon, all from 1895-1898, gets a full page, and facing it is a page of text, explaining who the victims of Davenport’s pen are and what their significance is at the time. Frederick told me he is at work annotating the 1900 [The Dollar or the Man] collection. Only a few of the cartoons consist of metaphorical messages in the modern manner; most are caricatures that exaggerate and distort their victim’s features, making them all seem highly questionable persons. I’m posting only a few hereabouts, including Davenport’s 1896 portrait of his boss, W.R. [Hearst] himself—a friendly, even complimentary, picture that may well be the most familiar of Davenport’s works: it shows up often in histories of journalism. 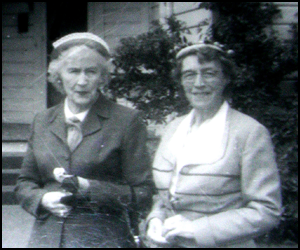 In the early 1960s, Homer Davenport’s sisters, Alice Davenport Bernard and Mary Delle Davenport Havens (right), gifted to the citizens of Silverton a number of original political cartoons, photographs and other artifacts from their famous brother. The cartoons have been on display in City Hall for decades, since they were donated to the Silverton Library, then part of the City of Silverton. Main Street Coffee and Bistro in partnership with the City of Silverton will host a special exhibition of these eight original Davenport cartoons. 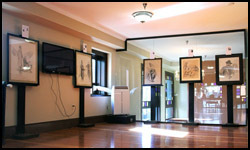 The cartoons, dating from 1894 through 1904, will be displayed the upstairs gallery in the newly remodeled Wolf Building, located at 201 East Main Street, in Silverton Historic downtown core. All of the City Cartoons along with annotated descriptions will allow visitors to examine up close and personal, the artwork of Oregon’s First Media Super Star. The eight cartoons set to be displayed cover a period of time from 1894 through 1908. The oldest piece, is a portrait of Davenport’s father, Timothy, (left). 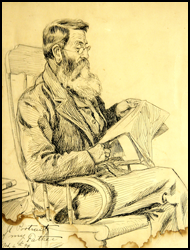 It includes the note, “Portrait of My Father, October 6, 1894.” At this period of time, Davenport was firmly established with Hearst’s San Francisco Examiner, and was no doubt home visiting. The next earliest, is an image of lame-duck president Grover Cleveland, sitting secure at work, with a Tammany Tiger-skin rug under his chair, being confronted by an old begger. A partial penciled-in title starts “To Busy…” Owing to Homer’s notoriously bad spelling, it most likely meant “TOO busy…” Probably done in late 1895 or early 1896. “God’s in it. We’re in it. There’s money in it.” Here we see Dollar Mark Hanna and the Trust Brute mugging a Cuban. From Davenport’s second published collection, “The Dollar or the Man?” published in 1899. The final two cartoons date from around 1904, during Davenport’s post-Hearst period. Both feature person hand-written notes dated August 30, 1908. These he apparently gifted to Dr. Charles H. Brewer, an Oregon doctor and his wife Nettie Mae Brewer, during a visit with Homer, most likely in New Jersey. 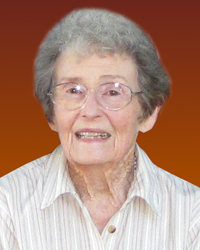 Mrs Brewer, (formerly Nettie Mae Munkers) was a school mate of Homer’s (albeit in an earlier grade level). One features a ghostly Lincoln with his hand on old man’s shoulder, holding a newspaper reading “Parker’s Letter – I Will Revoke.” This is in reference to 1904 Democratic Presidential candidate Judge Parker, who vowed to revoke a pension extension passed as an executive order by President Roosevelt for Civil War veterans. The hand-written inscription says: “To Mrs. Dr. Brewer, who as a girl was my school mate. Me at one end of the classroom, and she at the other. (Those that know me will know which end I was). It’s with the greatest happiness that I give her this cartoon which bears a likeness of my father, he of whom all Silvertonians—yea Oregonians loved. [signed] HCD. Aug 30, 1908” Homer often used people he knew as models. The final image is a self-portrait of the artist, possibly done during the 1905 Lewis and Clark Exposition, owing to the appearance. the decades to come. Here is your chance to help the Homer Festival at the same time as helping to preserve history. By donating to the Davenport Cartoon Re-framing Fund, you will get the same tax-deduction as well as the knowledge that you have personally helped keep Davenport’s art safe and secure for future generations to enjoy. Plus you will be the first in line to view these restored pieces, when they are eventually displayed to the public. Ask your Homer Day Contact about the Cartoon Re-framing Fund! On Sunday, October 25, 1896, just a bit over a week before Election day, The Brooklyn Citizen, one of many daily newspapers in New York City, ran a short biographic sketch on Political cartoonist Homer Davenport. This piece ran just one year after Davenport arrived in the Big Apple after his boss William Randolph Hearst’s acquired the New York Journal. This also appears to be the earliest biographical piece about Davenport to be published. There were many more over the next decade. It was written by Arthur E. Jameson (1872-1957), a fellow Hearst comic artist. At the time of the article, he had himself embarked in what would be a long career with Hearst and Company, eventually specializing in what would be now termed graphic novels. His work in fact predates a style that would become popular by later artist’s like Hal Foster and his Prince Valiant strip. Why he would write a piece in a non-Hearst paper, seems like a contradiction, but no doubt was part of Hearst’s well-known approach to self-promotion. The inclusion of an image of John M. Palmer the “Gold Democratic Candidate” for President was interesting as well, since Hearst openly supported William Jennings Bryan, the Democratic candidate, who espoused a “bimetal” approach using both gold and silver as an economic base. 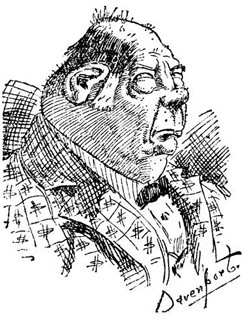 The page from which this article was reproduced, had these Davenport caricatures sprinkled throughout the page, even though the article on Davenport was only a dozen or so column inches on the upper left corner of the page. The paper was donated to the Silverton Country Historical Society by the Digerness family, whose ancestors include another talented Silverton cartoonist, the late Knute Digerness. Public interest has been so universally centered in the political outlook, and in the principals who are to engage in the coming battle, that the men who are really to shape their destiny have been overlooked. The writers and artists representing some of the largest newspapers in the country form no small part of the large army of men which is to comprise the opposing forces. Among them are men who have achieved reputation and fame in their respective capacities, and are the chosen ones of their profession. They are as prominent in the newspaper field as are the political figureheads to the laity, and what they will accomplish during the campaign will be watched as carefully by the interested public as by the politicians themselves. One of the men who will do much to shape and disfigure the hopes of the political aspirants is Homer C. Davenport, of the New York Journal. Since the time of Nast there is no man who has jumped so suddenly into prominence in the field of caricature. Within four years he has acquired a reputation which extends from the Atlantic to the Pacific, and his original drawings adorn the sanctums of most of the prominent politicians in the country. They watch his work as closely as Tweed and Blaine did that of Nast. Of all the checkered careers to which a man can fall heir, his is the most versatile. He is probably one of the quaintest and most original characters to be found in the profession. His academy has been the practical school of observation, and there has been nothing for him to acquire but facility; the last was a natural inheritance. It is hard to realize that a man who can now make political monarchs bend in fear and submission, has been a jockey, a waiter, an engine wiper, a clown, a fireman, and a steamboat stoker. But such is Mr. Davenport’s repertoire of accomplishments. They were not forced upon him through necessity, of course, for his father has always been in a position to help him. They were merely the result and deserts of his boyish waywardness and recklessness. He was always a source of constant worry and annoyance to his parents. When he ran away with a circus during harvest time his father’s hair, he says, first began to turn gray and Has been turning ever since until about five years ago. Then it began to return to its original color. It was the arrival of this circus which cut short his career at school, but his knowledge was afterwards acquired in the manner most self-made men boast of. He cares more for game roosters and bull pups than he does for books, and though he may not be able to quote Shakespeare or Byron, he can sign his name to as large a check as most learned pedagogues. It is always interesting to know what event marks the inception of a successful career, and it seems odd that in Mr. Davenport’s case his first effort should have been at the expense of his long-suffering father. His younger sisters, possessing the same humorous instincts had plaited the fore-locks of their paternal ancestor’s hair while he was taking a nap, and had tied a red ribbon on it so that it resembled the topknot of a pickaninny. When he removed his hat later in the evening to introduce Governor Pennoyer to a large audience the red ribbon jumped out and stood straight up, to the intense amusement of the audience and the consternation of the principals. It was Homer’s first motif and the result was conspicuous for a day on the post office bulletin board. Through a friend of his Mr. Davenport later got an offer from the Portland Oregonian to make advertising cuts. The first drawing was a stove, but the legs had such wiggle and the door such a mark that the advertiser refused to run his “ad” if the cut had to go with it. He was compelled to seek “green fields and pastures new” after this failure, and finally wound up in. San Francisco. An admiring friend introduced him to the art manager of the Examiner as “the greatest artist in the country.” The faces of those around him fell away into a peaceful smirk at this announcement and Homer thrust his precious samples through the linen of his coat. He was willing at that moment to go back to ploughing without complaint. But they gave him a trial at $10 per week with instructions not to be too original. When he eventually grew tired of copying A. B. Frost and drawing bridges and buildings it was the signal for his dismissal. When Mr. Hearst bought the “Morning Journal he brought Mr. Davenport with him. The people realized his genius at once, and he soon created a stir in national politics. His “Eeny Meeny Miny Mo” cartoon was copied from the Atlantic to the Pacific, and when his drawing of Reed punching the bag, the famous Republican leader wrote and asked him for the original. His success was instantaneous. But since that time he has devoted most of his energies and wit and genius to the much-abused Mark Hanna. 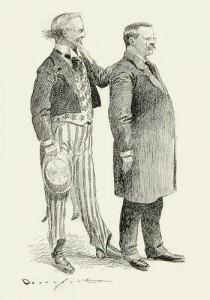 Indeed, Mr. Davenport has been as merciless in his attacks upon the stage manager and press agent of the Republican candidate that overtures have been made to have the cartoons stopped. The check suit with the dollar marks has wrought great havoc with “Mark” and has caused him many sleepless nights. But they still continue appear, and when the campaign is this check suit will pass into history and continue to haunt Mr. Hanna, as did the famous money bag face of old “Boss” Tweed. It is scarcely credible to believe that this young genius had never earned a dollar from his pen five years ago. Although he is the same unassuming fellow who entered the Examiner office with his high-water pants and a seedy overcoat to cover up the patches, he is, of course, more metropolitan. But he possesses none of the vices which usually accrue from success. He never touches liquor or tobacco and has only hobby, as was said before, is keeping game chickens and bull pups. There is no more entertaining or original talker. His conversation is like his drawings—full of humor and lasting impressions. Everything he does is tinged with humor; he cannot it. If his drawings were only funny, Davenport could scarcely be less great; but they are full of serious thought and need no letter press to tell the story. No cartoonist can excel him in drawing, and when he introduces animals into his work he is superior to all. Before the national campaign is over he will have shattered many political aspirations beyond hope. Though he has already achieved much, he is only at the inception of his career. How little the farmers thought when they used to laugh until their sides ached at his early sketches at Silverton, Oregon, that with as much ease he could make the whole world laugh or frown. When he moved to San Francisco in 1892, Homer Davenport worked first—after a brief stint at the Mark Hopkins Art School—for Hearst’s Examiner. He was let go, apparently due to his “lack of artistic skill.” He then found work, at a higher salary, on Michael de Young’s San Francisco Chronicle, before eventually being re-hired by the Examiner, (at Hearst’s personal request) for an even higher salary in 1894. This period has been lacking, not only in content, but in relevant facts relating to this period, which included a brief stint in Chicago drawing horses for the Herald during the 1893 World’s Fair, before returning to the Bay Area and de Young’s Chronicle. I discovered “Fold3,” an outstanding online historical archive, that had relatively high resolution scans of each and every page of that San Francisco publication. I discovered a number of examples of Davenport’s work, hereto unseen for over a century. Many include dramatic outdoor scenes of horses and hunting. One series stood out, and represents some of his earliest published work. It contains five illustrations by Davenport that were published in the February 19, 1893 edition. A seasonal column, it was titled “In Sack-cloth and Ashes,” and featured a tongue-in-cheek overview of how various noted citizens observed (or not) the Christian fast of Lent. The author of the column is unknown, perhaps by design, as the tone and tenor of the article could conceivably be interpreted as border-line blasphemous by some. This would not have deterred Davenport however, having been raised by “intellectual infidels” in Silverton, Oregon. Below are the original captions, with relevant passages from the original column. C: Eddie Dunn comes 3000 miles from New York to eat rubber doughnuts. Dunn has been a little wild in his day, and decided he would leave the tempting haunts of New York, travel 3000 miles and repent during lent by feeding upon one of the lunch counters of a first-class saloon in this city. The tank was more than he could stand when he discovered that the cold pig’s feet and brown rounded doughnuts were some of the most perfect products of the rubber company. Historic research is full of surprises. In the course of tracking down facts, often more facts are discovered, which sometimes greatly exceed the original facts that set off the initial search. In this case, I was intrigued by comments Homer’s niece and Silverton Country Historical Society (SCHS) benefactor Mrs. Nancy Havens Rose (right), made in a 2009 “Living History” video produced by Carolyn Hutton for the SCHS. This was the tale of how her mother, Mary Delle Davenport (1885-1965), was invited by her brother Homer to go to Europe on one of his lecture tours. However, she apparently contracted scarlet fever and had to stay behind in New York City, in the brownstone home of Homer’s mysterious girlfriend, Zadah Howard Reakirt, and her young son Robert Hastings Reakirt, who was similarly afflicted. In 1907 after years in an unhappy marriage, Homer and his wife Daisy agreed to a separation. Eventually this led to Homer filing for divorce, and a budding romance with Mrs. Reakirt—a divorcee “of means” that shared Homer’s interest in art and Arabian horses—ensued. It was after this period that the story Nancy recounted of the missed European trip had to occur. I myself had not found anything in the material I have examined, so I was left to examine the facts, as slim as they were. Mary Delle’s trip East and her stay with Zadah were strong clues, as they indicated a period between 1908 to 1911. In researching this trip, I found other clues within the Roosevelt archives. Of importance to this subject, is from the book “Impressions of Theodore Roosevelt,” a biography of the Colonel by Lawrence F. Abbott, and written in 1922. In the third chapter, he recounts Roosevelt’s return to the United States after more than a year abroad. T.R. went first to Africa on safari, then on an extended lecture tour of Europe, before returning to his home at Oyster Bay. In it, Abbott recounts how he and T.R. attended a shipboard “Chalk Talk” by Davenport, (see below). But when did Homer leave? This bit of information’s arrival like much in the Davenport saga, was of the serendipitous nature. I had talked to Ms. Sieglinde Smith at one of my lectures, and gave her my card. In the course of her own research, she forwarded me an obscure reference to Davenport she had found, that filled in that gap somewhat. It was from The Pacific Coast Architect, a professional journal targeting Northwest architects, dated April, 1911. Under the heading “Address of E. M. Lazarus Before Portland Architectural Club,” Mr. Lazarus recounts meeting up with Davenport at sea the previous year. What follows are these two published accounts, that while not specific on where Davenport went on his lecture tour, both nevertheless offer an interesting glimpse of Davenport’s character as reported from several different sources: A prominent Portland, Oregon architect, a journalist-turned presidential biographer and the Ex-president himself! And, even more additional information has turned up to add yet another angle to this twisted tale, of an Arabian horse nature. Mr. President and Gentlemen or, rather, Chere Colleagues: I thank you for the honor of calling on me for a traveler’s tale, and were I skilled in the art of oratory or could command Dickens’ gift of telling a tale, I should feel more at case in the limelight of this platform. As it is, you will have to make amends accordingly … Sailing from New York late in May last, I crossed over with a fellow Oregonian. Homer Davenport, whose love of Oregon, and Silverton in particular, has been instrumental in heralding its fame from the land of where rolls the Oregon to the Bedouin tribes in far Arabia. For where his cartoons are known and admired, so is his love for his home town. Davenport’s versatility is remarkable. In mid-ocean he invariably spent two or more hours every day making cartoons in the salon, and on a certain eventful day lost his purse containing all his available cash. A few hours later, on hunting him up, I found him finishing a pen and ink sketch in which he was the central figure with beads of perspiration dropping from his brow, the captain standing at his side gesticulating his inability to account for his loss, and with the salon steward standing by with an expression vacant as atmosphere, eyeing the flight of the purse, to which Davenport had affixed a pair of wings, as it vanished in the distance; a cartoon that was afterwards auctioned off at the end of the voyage for the Seaman’s Mission for a good round sum. The Epsom races have begun. And throw them out we did. With a vengeance. Edgar Marks Lazarus (1868-1939) was a Portland, Oregon architect, who designed numerous public and private structures throughout the state. One of his more famous buildings is the Vista House (right), at Crown Point, overlooking the Columbia River Gorge. Edward Teague of the University of Oregon has studied his life extensively, and has quite a bit of background on him. And like Homer Davenport, Mr. Lazarus was an avid fan of horse racing. 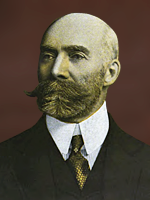 Besides the trip to the Epsom Downs Derby, the only other media reference to Davenport in Europe was a brief notice in the London Times of June 8, 1910, about a dinner of the London Poets Club, where Sir Owen Seaman gave a talk on the power of parody. At this time, Sir Owen was editor of the British satirical journal “Punch.” Two days later Davenport boarded the S.S. Kaiserin Auguste Victoria in Southampton, and sailed back to New York. 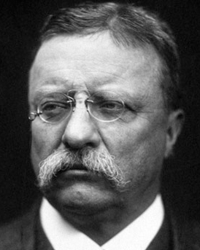 Also on that same ship, was Ex-President Theodore Roosevelt, returning to the United States after over a year aboard. This included an extended African safari and lecture tour of Europe. That portion of the trip was documented in part by Lawrence F. Abbott in his previously mentioned Roosevelt biography. In reply I told him I did not think the two cases were at all parallel; that the American people knew him, Roosevelt, after thirty years of trial in the whitest kind of light; that his acts, achievements, and character were tested and understood; and that the people had taken him into their confidence and affection permanently, for better or for worse. 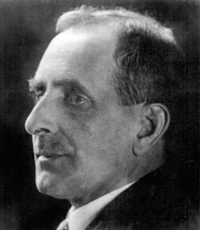 On the other hand, I argued that Dewey had suddenly been seized upon as a kind of idol by the American people, not because they knew him very well, but because of one great dramatic episode; and that when he did something which they disliked they discarded him, although unjustly, without any wrench or sense of personal loss. “No,” insisted Roosevelt, “I am going down like Dewey.” More than once during our journey through Europe he referred to this assumed parallel in his career and that of the hero of the Naval Battle at Manila. “Remember Dewey” became almost a slogan or shibboleth in our political conversations, although Roosevelt used it not loosely but very seriously. 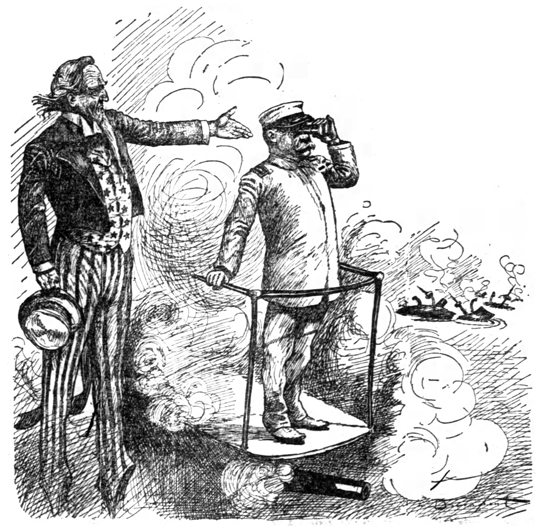 “At the time when Admiral Dewey was being bitterly attacked in the newspapers, and criticized throughout the country because of the disposition which he made of the house presented to him in honor of his victory at Manila, I published in one of the newspapers a cartoon in his defense, (‘Lest We Forget’ left – click for detail). I thought the Admiral was most outrageously treated, and I rather laid myself out to make the cartoon a striking and effective one. A few days after it was published a friend of mine who knew Dewey met me on the street in New York and said: “Dewey has seen your cartoon and wants to see you. Will you go over to Washington?” “Sure,” I replied. We went over, and my friend took me to the Admiral’s house. Unhappily first the country and then the Government did treat him like Dewey, but he neither wept nor did he abandon his country. He did not even show resentment or disappointment, but kept up his fight to the very end, in the greatest good spirits. His buoyancy, his capacity to rise superior to all external disappointments, was, I think, one of his greatest qualities. Chief Joseph, 1903. Photograph by F.T. Cummins, from the First People Website. Chief Joseph, a voice of conscience for the West and his people, died less than a year after Homer’s interview, still in exile from his homeland, according to his doctor “of a broken heart.” This piece of Davenport trivia comes to the Project courtesy of Davenport researcher Barry Bernard of Portland. It was reprinted in the Morning Oregonian, on Saturday, October 10, 1903. 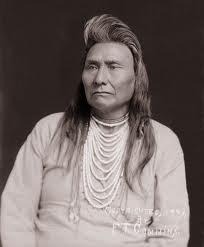 The photo of Chief Joseph was taken around the same time as the interview in 1903, by F.T. 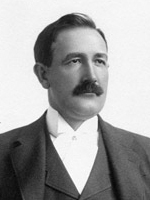 Cummins, (from the First People Website). 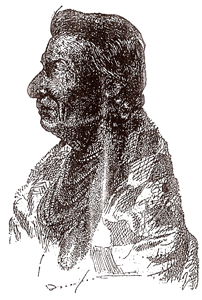 Davenport’s portrait comes from a second generation Xerox copy printed from microfilm. And since this was manually transcribed, (by me!) from the a fore mentioned Xerox copy, I may have gotten some characters scrambled, especially in the Chinook passages. In 1879, I was in Colfax, Washington, at that time one of the thrifty towns of the Northwest, a town threatening to be a city, a center in those days for all the Indian trade of the Palouse District. This day I have in mind was a perfect day. The sky was apparently a million miles high and the blue was that of the Mediterranean. A breeze was blowing, but I don’t recall which way. “I know,” said uncle, “but don’t bring then in any more. They tear down fences, break the sidewalks and some day they’ll run over some child, and then they’ll hang you. If you love me take them back to Snake River and keep them there.” At this point I saw uncle drop a $5 gold piece quietly into the old Indian’s prepared hand as quick as you would tip a policeman. Then uncle left in disgust and went to the store, while I remained with the old Indian. I always remembered the name of old Platote, though I never saw him but that once. Yesterday I had an appointment with the management of Madison Square Garden to see and have an interview with Chief Joseph, the greatest chief the Nez Perce (Pierced Nose) ever had, and more than likely the greatest Indian chief now living, the greatest war general, greater than Geronimo, because Joseph never considered cold-blooded murder warfare. As we entered his room in the Garden, the old chief arose from a blanket on the floor alongside of a bed; he had been resting, as the bed evidently tired him. As he arose he grew more and more in a dignified way, like an old Indian Hamlin Garland once told me of that grew in his estimation till he looked 17 feet high, and so as Chief Joseph straightened and reached out his long right arm to be shaken, he looked like a great Roman senator in bronze. He frowned with his brows, but his lips smiled, that he might make me feel more at home. If you were going to interview a President that would be easy. You could say that you were leading a strenuous life and were in favor of good citizenship, and that would lead up to something, but to this man that meant nothing. He had done that all his life. If you were to interview an actor you could say that you saw him in his last play, then he would do the rest. In my joy I happened to think of old Platote, and I asked if he knew Platote. The expression on the chief’s face changed noticeably into that of deep melancholy. He was more dejected than he was a few minutes before he had been so happy. He stood up over six feet and trod back and forth with bowed head. He was a grand sight, although a dejected person. Notwithstanding this simple plea from a just and honest Indian, the troops came to take him to a reservation and he naturally fought, and when he fought, he fought in a manly, dignified way, and had he had as many warriors as we had he would have caused our Generals to blush. As it was, he proved almost a Napoleon. He rightly figured that the whites and the progress of civilization might have spared to him the beautiful little valley at the junction of the Wallowa and Snake Rivers, in Eastern Oregon. There he could live as he had always lived at the head of his tribe, a well-behaved band of Indians.